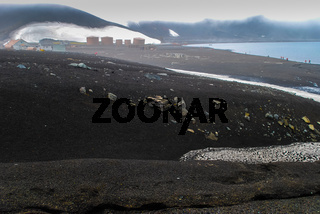 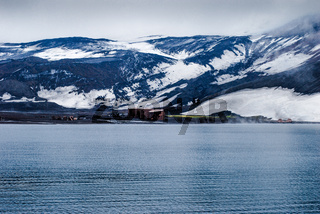 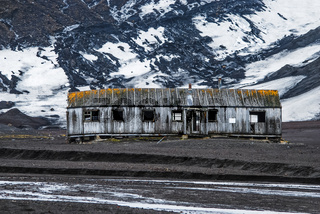 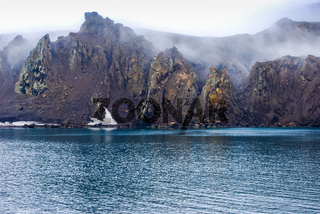 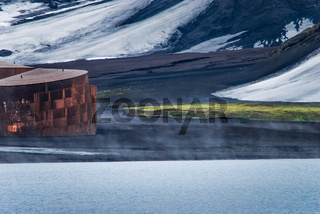 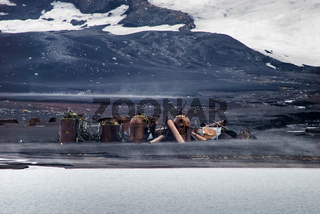 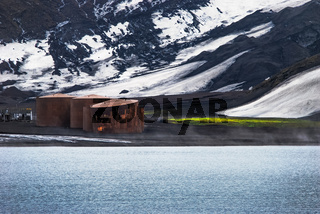 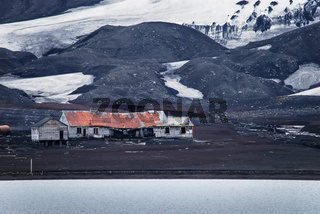 Whaling station on Deception Island, Antarctica. 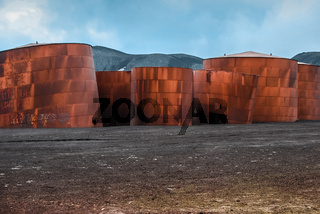 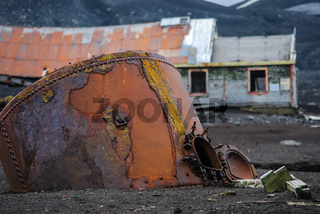 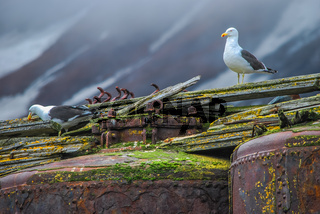 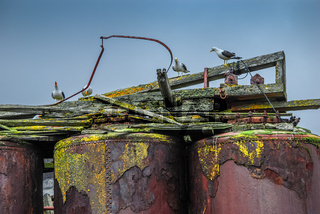 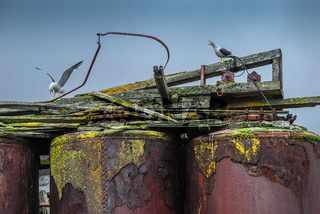 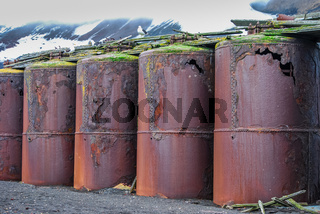 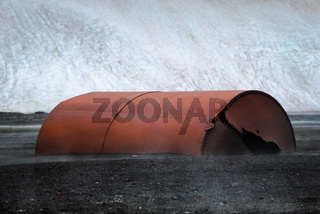 Rusty ruins are reminiscent of the whaling industry. 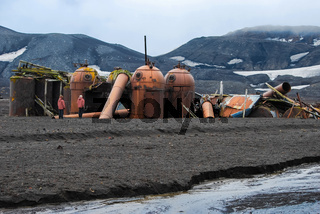 The air is full of sulphur steam as a sign of actice volcanism.